If you’re spending some time travelling around Australia, one of the cities you are likely to end up in is Cairns. 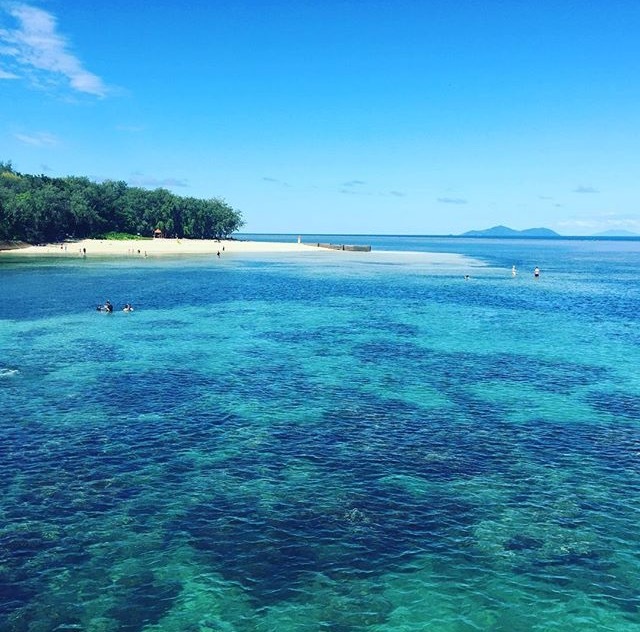 Cairns is probably the most popular jump-off point along the Queensland coast for accessing the Great Barrier Reef, and there are lots of other nearby places to explore including the rainforest, cute little coastal towns, and beautiful beaches. Compared to other Australian cities I’ve been to, Cairns is really small. There’s a small area with restaurants, shops, and things to see, but the main beauty of the area lies outside the city itself. 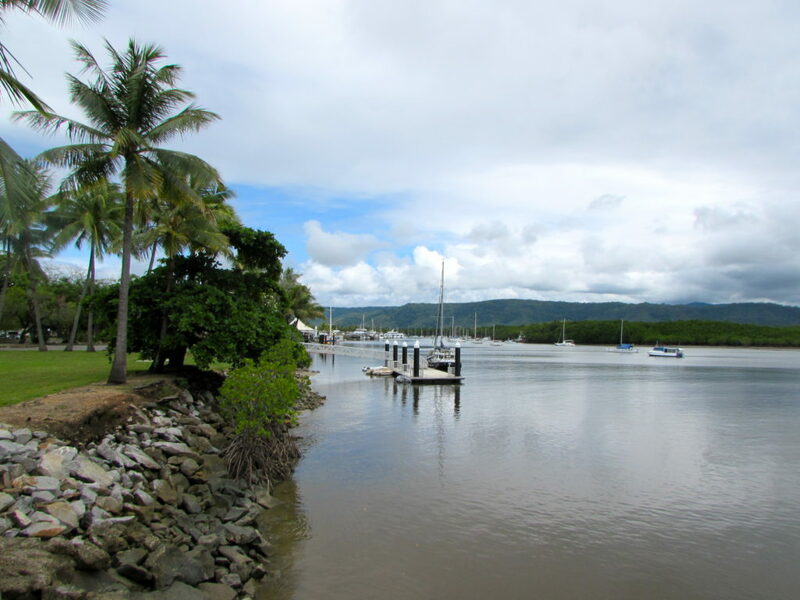 Cairns is the northernmost city in Queensland and is located in the tropics. So no matter what time of year you go, it’s going to be warm and humid. Flying into Cairns is especially beautiful, because you can see green cliffs and bright blue ocean, almost how I would imagine Hawaii to look! The population of Cairns isn’t very high, but it has a huge tourism industry, so it will usually feel like most people around you are from somewhere else. In fact, even though Cairns is only the 14th city in Australia by size, it has the 4th biggest tourism industry after Sydney, Melbourne, and Brisbane. The city is right on the ocean, but the water there isn’t usually swimmable because of jellyfish and crocodiles. 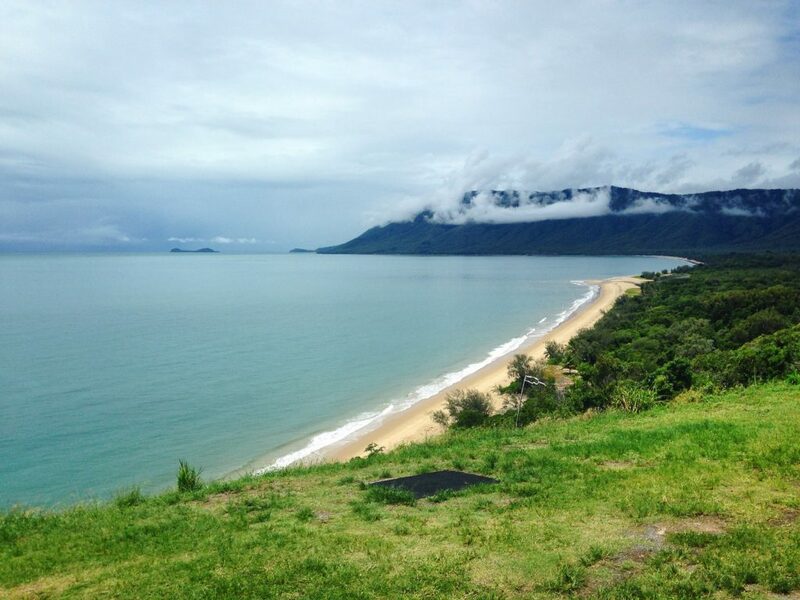 If you head just north of Cairns though, there are some beautiful beaches with areas that are safe to swim in. Something else to be aware of in the city: there are an insane amount of bats. For the most part they won’t bother you, but it can get a little freaky at night when you see thousands of bats flying overhead! 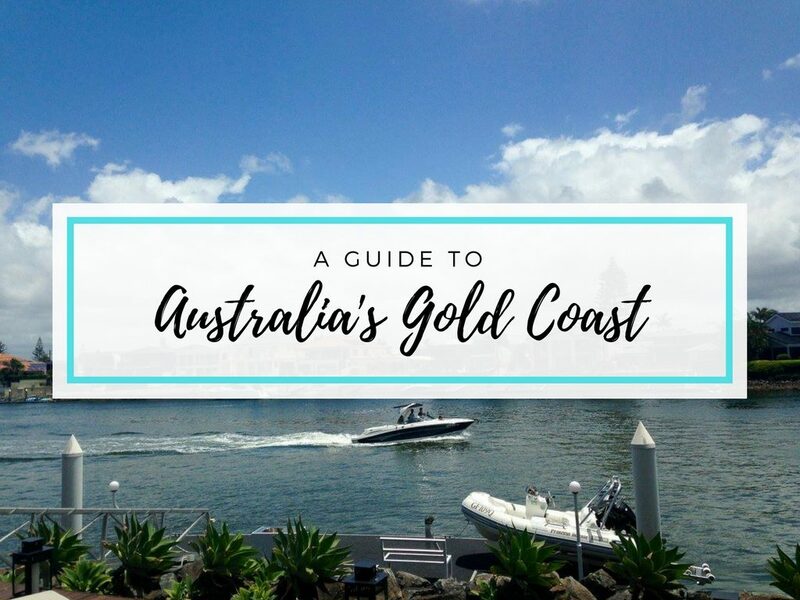 There are lots of cool things to see in and around Cairns, so keep on reading for my top recommendations on things to do when you visit! 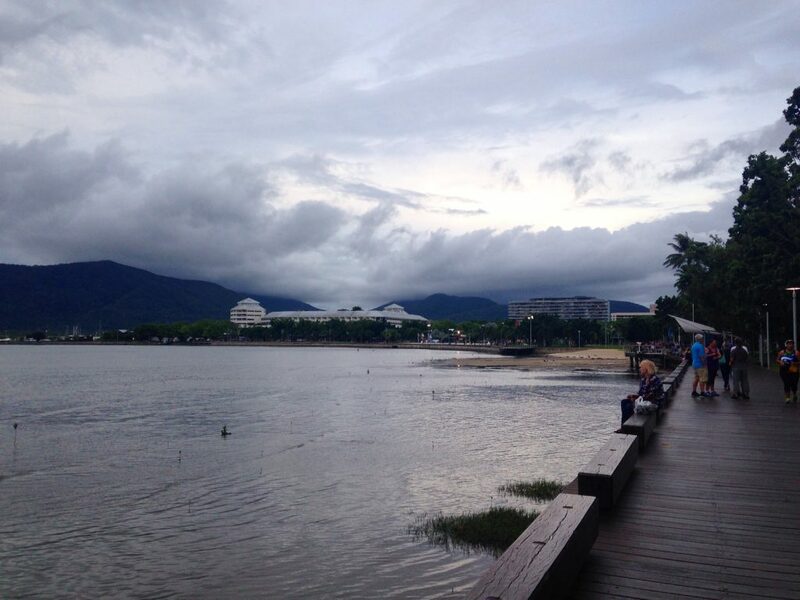 It’s hard to visit Cairns without walking along the Esplanade at least a couple of times! It’s a long boardwalk right next to the ocean where you get some really beautiful views of the mountains surrounding the city. All along the boardwalk, you’ll find the main street for tourists to visit in Cairns with lots of restaurants, cafes, bars, and shops. Once you get to the very end of the Esplanade, you’ll be at the marina, where the boat tours going to the Great Barrier Reef leave from. Since the water along the Esplanade isn’t swimmable due to all the jellyfish and crocodiles, Cairns residents had to get creative when it comes to beating the heat and humidity. Right next to the Esplanade you’ll find the Lagoon, which is a big saltwater swimming pool. It’s surrounded by palm trees and has a sandy area along the side, so it feels like you’re at a little beach. The lagoon gets lit up at night, and it’s free for anyone to visit. 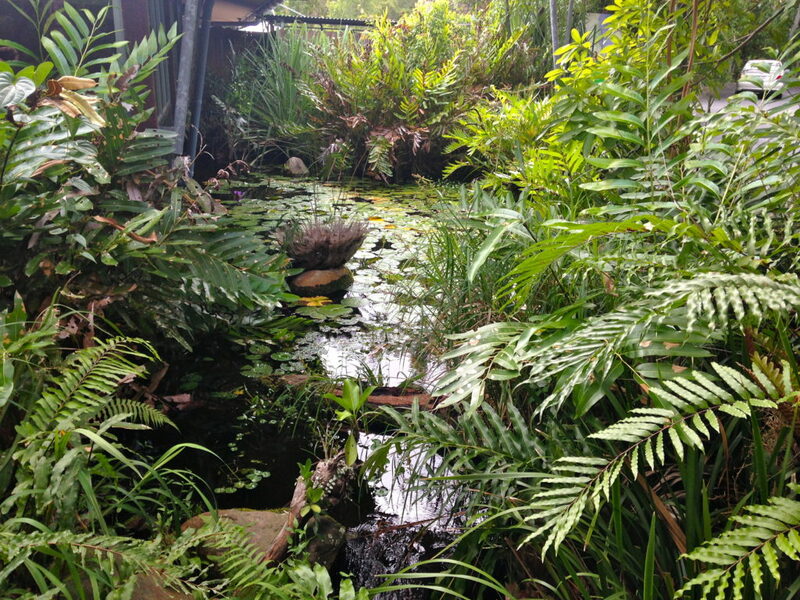 Like most cities in Australia, Cairns has its own botanic gardens. Since Cairns has a tropical climate, the plants and flowers you’ll find here are totally different to what you’d find in the botanic gardens in Sydney or Melbourne. There are some really amazing things to see and the gardens are full of colour. The gardens host events pretty regularly, including guided hikes and bike tours. 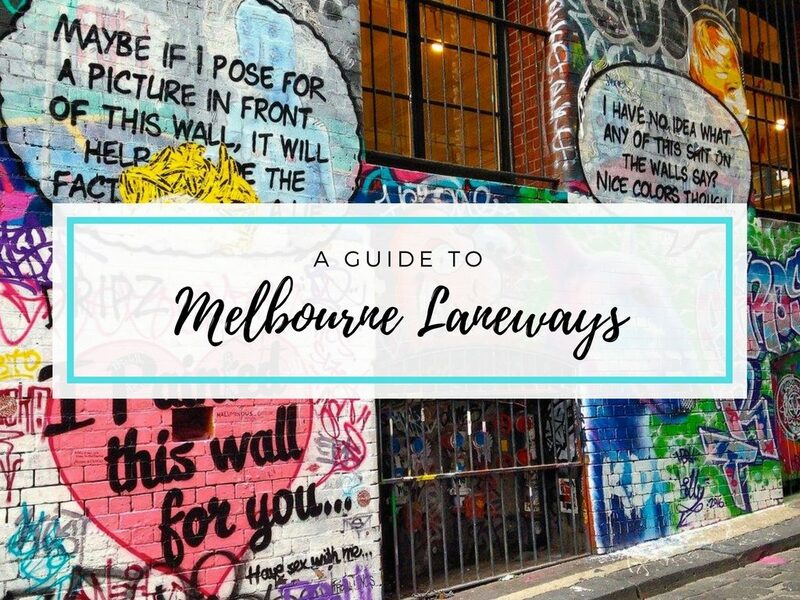 Right next to the botanic gardens, you can visit these spots that will make you feel really connected with nature. 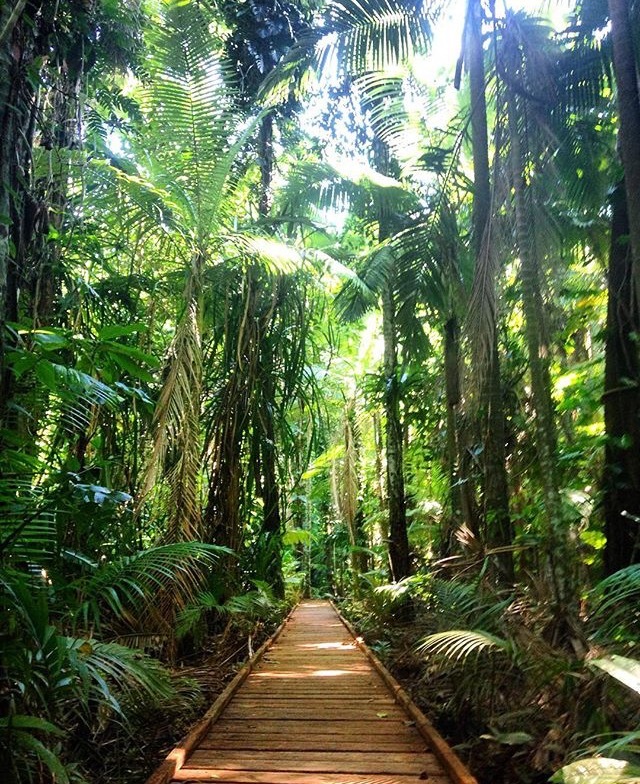 To get a real feel for how the rainforest around Cairns looked before the area was settled, you can take a stroll along the Rainforest Boardwalk. This ecosystem once dominated north Queensland, but is slowly disappearing due to industrialisation. And also just outside the botanic gardens is Mount Whitfield Conservation Park, where you can hike through the rainforest and get some really great views of Cairns and the coastline. The most popular hikes are the Red Arrow circuit and the Blue Arrow circuit. Both are a moderate level, but the Blue Arrow circuit is about five times longer, and you get great views along both. As soon as my group arrived in Cairns, we heard great things about this restaurant. We tried to go on our first night in Cairns…but the wait would have been several hours. It’s one of the most popular restaurants in the city and for good reason! 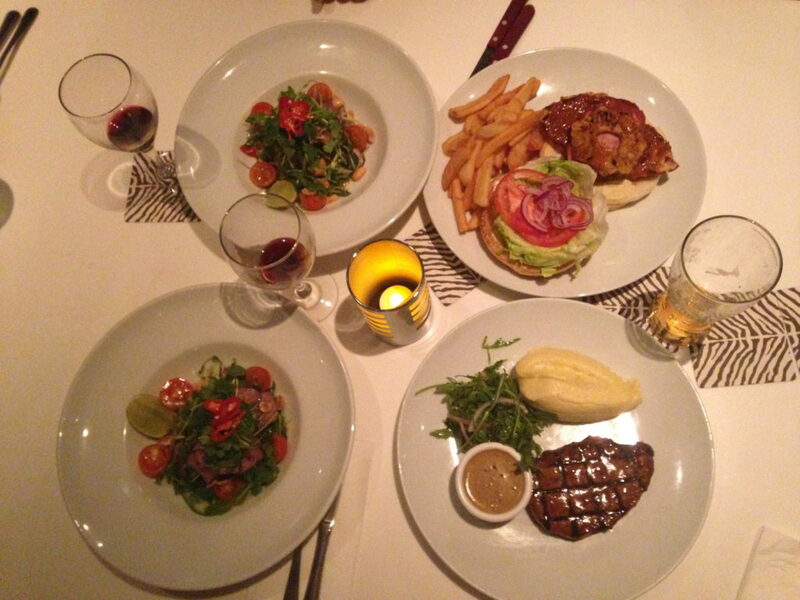 We finally managed to get a reservation for our last night in Cairns, and were completely blown away by the food. They are best known for their steak, which is what I ordered. It was probably the best steak I’ve ever had! They have great burgers as well, and I don’t think you could go wrong with anything you order on the menu. Waterbar and Grill isn’t necessarily fancy, but it is a nice restaurant, so I’d recommend dressing up a little if you go. The interior of the restaurant is really great and it’s right next to the marina, making for a great dining experience overall. When we couldn’t get into Waterbar and Grill that first night, we took a little stroll along the pier where lots of restaurants are lined up. We came across Caffe Suprimo, which serves delicious Italian food for a really good price. The meals are enormous, pretty much the size you would receive in America! They have a huge variety of food on their menu, and everything my group ordered was delicious. They also have specials each night of the week, including deals on pasta, pizza, and more. For one of the best cafes in Cairns, head to Dolce and Cafe espresso bar right along the main strip. They make great coffees, hot chocolate, and chai lattes, along with a huge selection of food. They serve the typical cafe pastries as well as great brunch and lunch options: egg dishes, fruit bowls, sandwich wraps, pancakes, and lots more. There is plenty of outdoor seating and it’s right near the waterfront, so it’s the perfect place to go on a nice day. If you’re visiting Cairns, it is most likely to visit the Great Barrier Reef. There are lots of different tours, you can get in a catamaran boat that takes you out into the reef,tours are available for day trips or for several days at a time. You can scuba dive and snorkel on the reef, probably the greatest experience I’ve had in Australia so far. 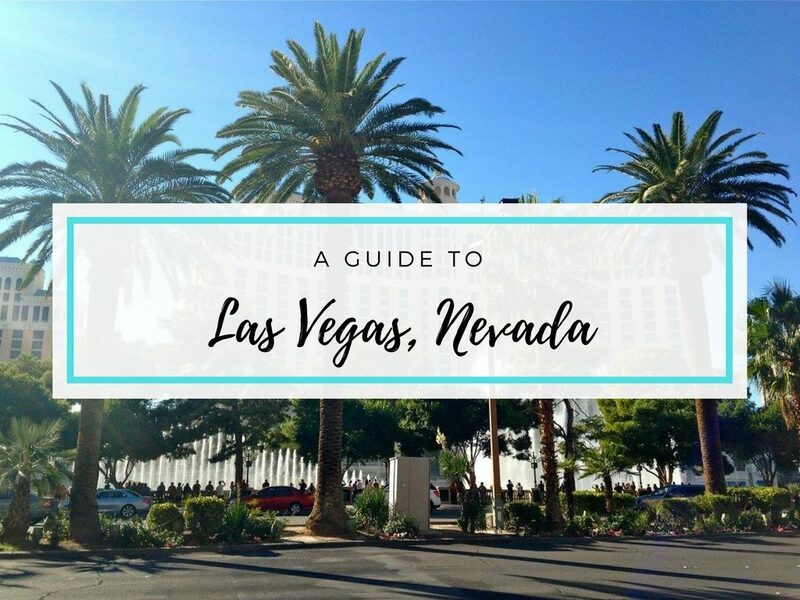 There are all different types of tours to choose from, so do a little research before booking. I went with a company called Ocean Spirit which was awesome. 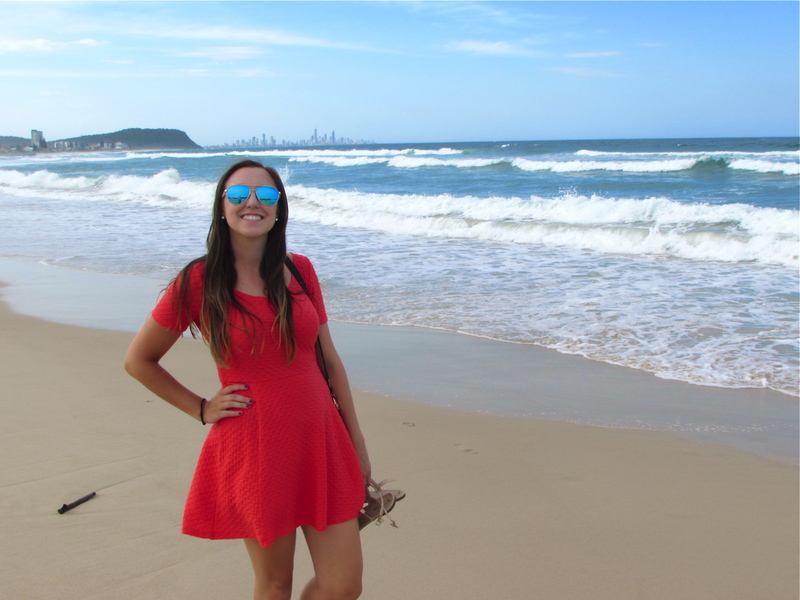 You can read all about my Great Barrier Reef experience here. 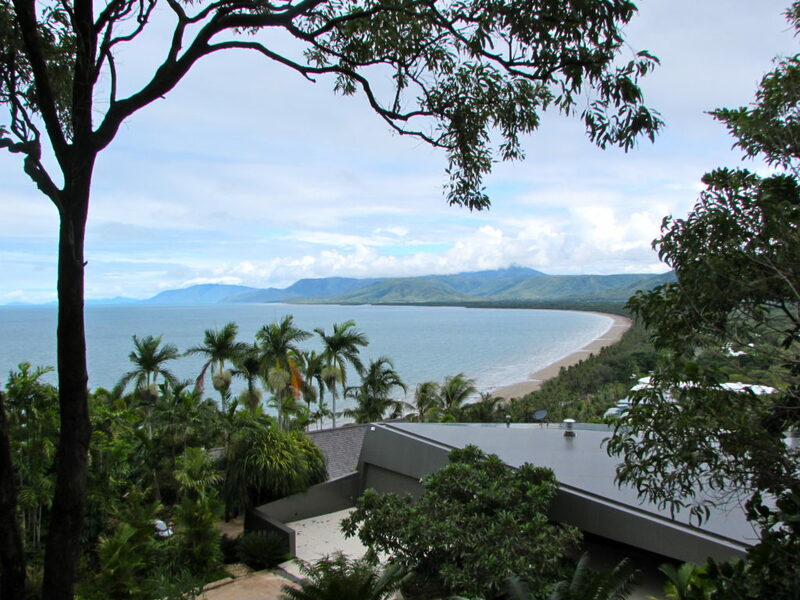 Since central Cairns is all about the tourism, to get a better idea of how north Queenslanders really live, head to Port Douglas about an hour north of Cairns. If you drive there, be prepared to see some amazing coastal views along the way. 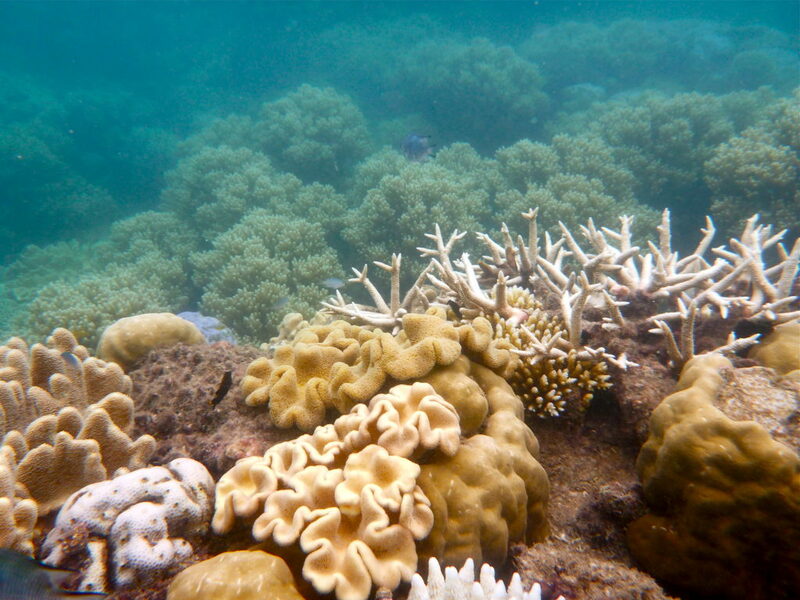 This area is known for being “where the rainforest meets the reef” after all! 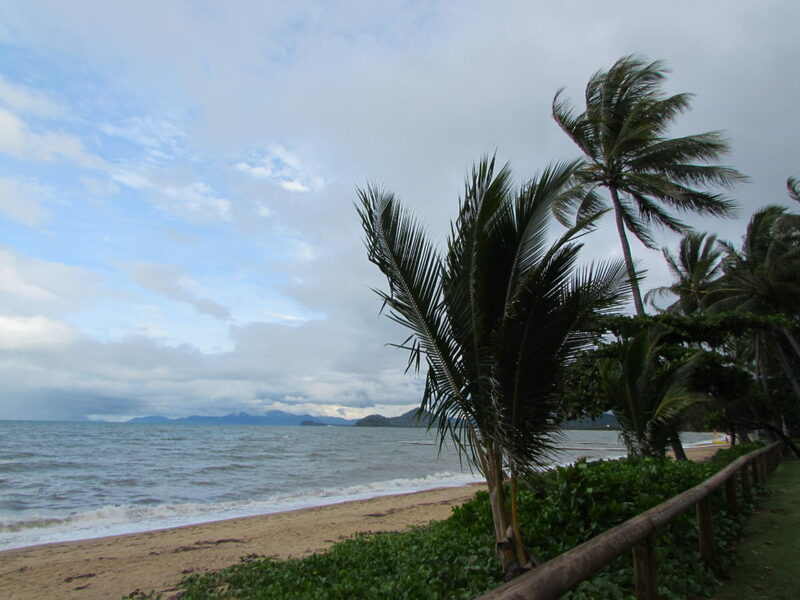 In Port Douglas, there are some really cute shops, restaurants, and cafes to explore within close walking distance. The most popular attraction in the town is the Four Mile Beach. To get a nice view of it, head up to the Flagstaff Hill Lookout. You can see along the whole length of the beach as well as green mountains, rainforest, and lots and lots of palm trees! The whole area has a very peaceful and relaxed vibe, and my dad even said he could see himself retiring there if he lived in Australia. 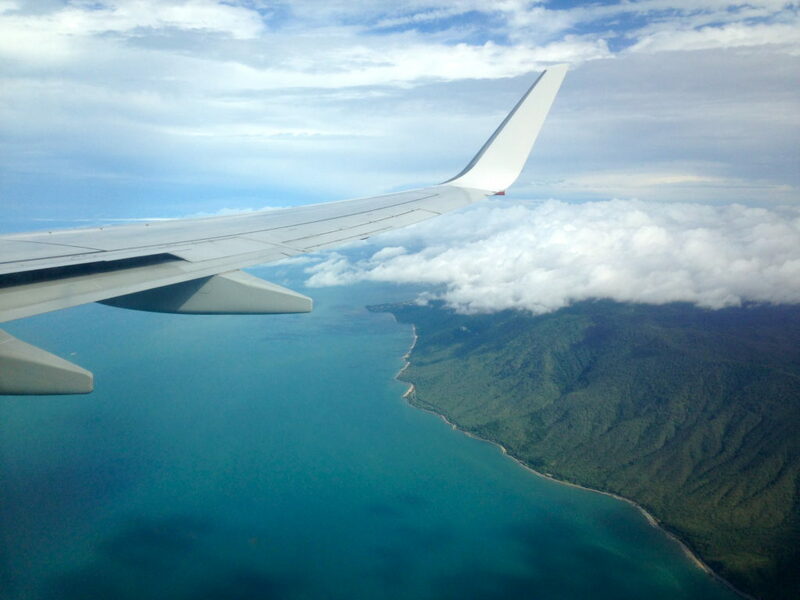 Of course Cairns is best known for the Great Barrier Reef, but not far behind is the famous Daintree Rainforest. The rainforest is huge—about 1200 square kilometres—and is the largest rainforest in Australia. There are so many different types of plants, with some that are millions of years old. There’s a huge variety of animal species throughout the rainforest too, including lots of tropical butterflies, frogs, and bats. Probably the most popular spot to visit in the rainforest is Mossman Gorge, which is easy to reach from Cairns. There are lots of different ways to experience the Gorge, including hikes and dreamtime walks that teach you more about the indigenous stories and beliefs surrounding the area. 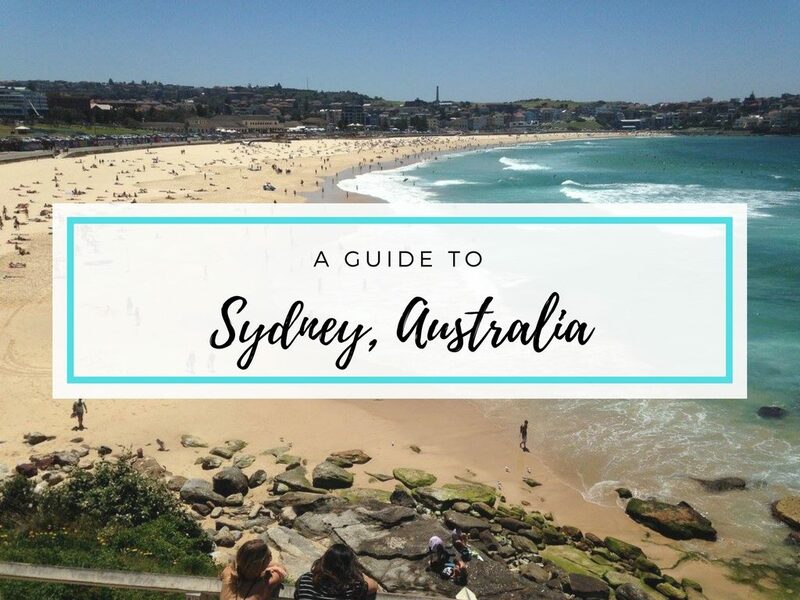 Even though the north Queensland coast has lots of crocodiles and jellyfish, and doesn’t have quite the reputation as beaches further south on the coast, there are still some amazing places to visit. 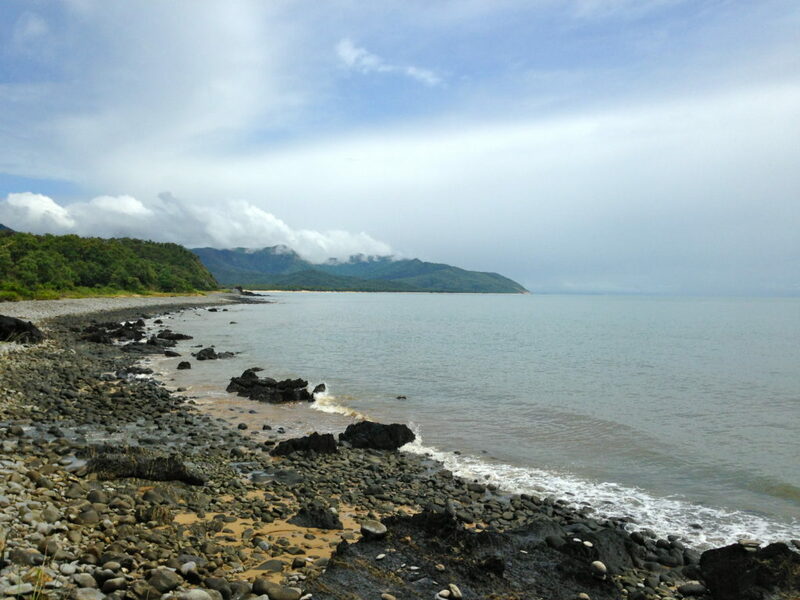 Some of the most popular and most beautiful are Palm Cove Beach, Trinity Beach, and Yorkeys Knob. All these beaches are long with lots of white sand, palm trees, and safe swimming areas. 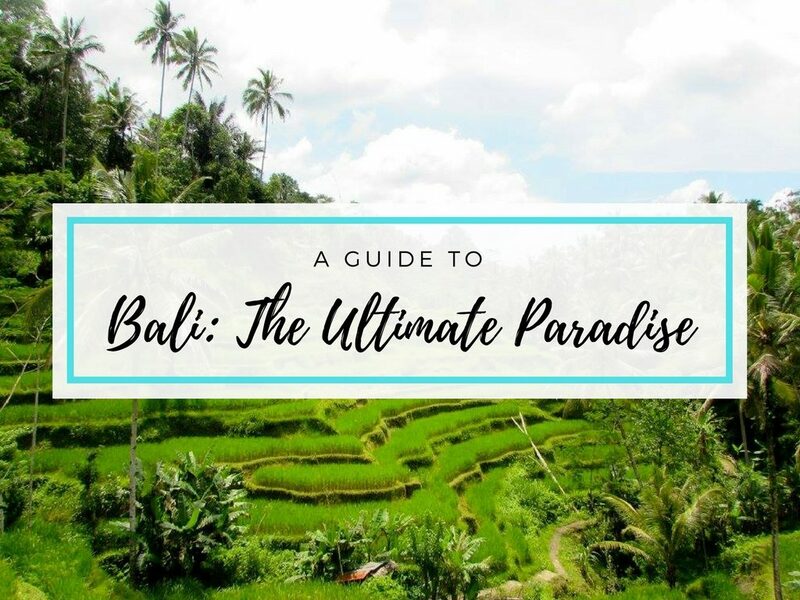 They tend to feel pretty quiet and secluded, so it feels like you’re in a tropical paradise. 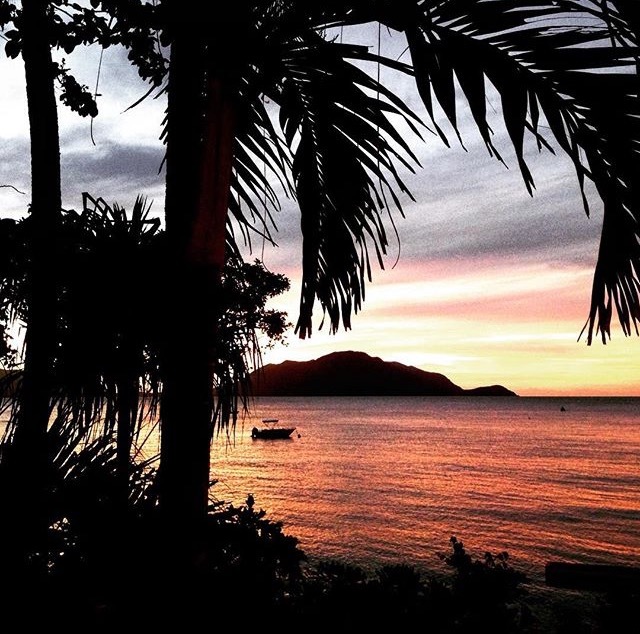 A super popular place for a weekend getaway is Fitzroy Island, about a 45 minute ferry ride off the coast from Cairns. On the island, there are beautiful beaches, walking trails, and a lighthouse. The island isn’t quite in the heart of the reef, but there are still some nice beaches where you can snorkel and scuba dive. Since the island is so beautiful and tropical, kayaking around it is popular as well. 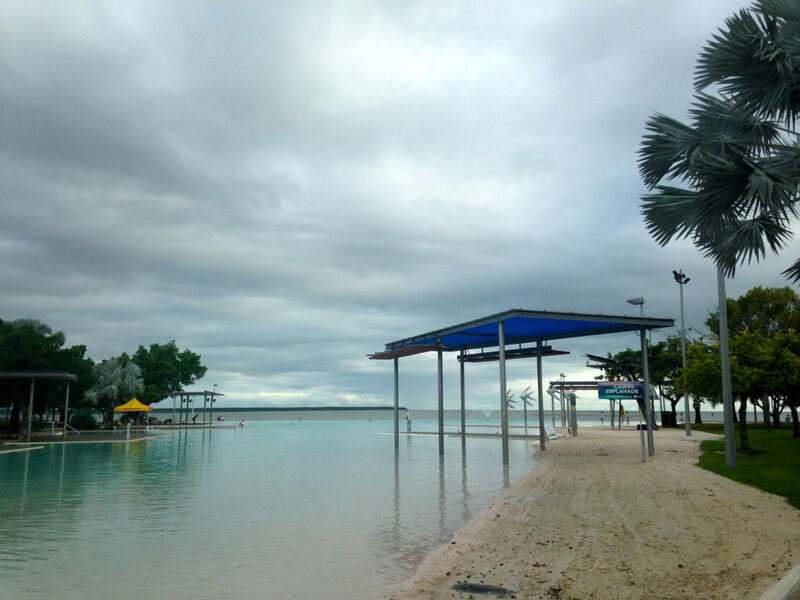 It’s definitely one of the quieter places to visit near Cairns, so it’s the perfect spot for a relaxing holiday. One of the popular spots to visit the Great Barrier Reef is on Green Island, just off the coast of Cairns. There are day tours you can take from Cairns, or you can hop on a ferry from the city over to the island. On the island, there are lots of ways to experience the reef: snorkelling, scuba diving, glass bottom boat tours, helicopter rides, and more. The beaches have soft white sand, the water is bright blue, and there’s lots of beautiful coral to explore. Cairns is such a cool and unique place to visit in Australia. I think it’s the only area where you can see the Great Barrier Reef, tropical rainforest, and city on the same day! 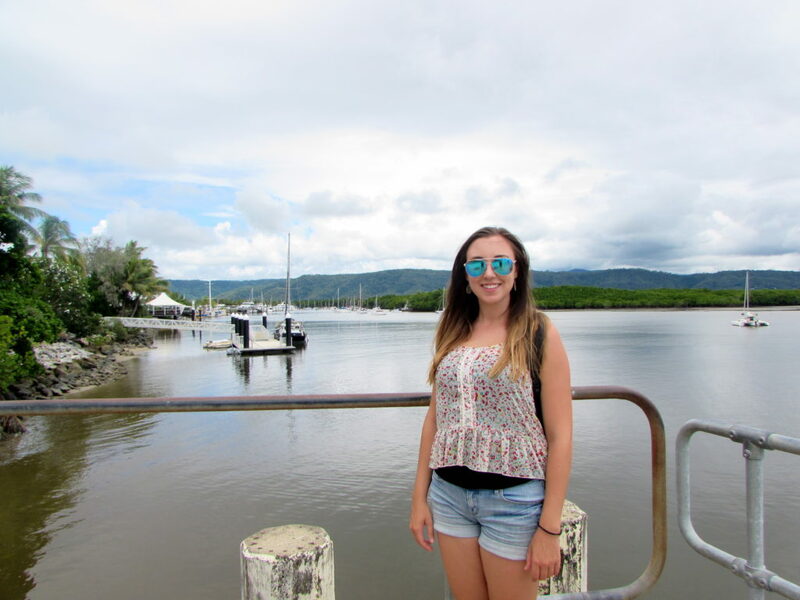 I loved my time exploring Cairns and can’t wait to see more of Queensland before I leave Australia. 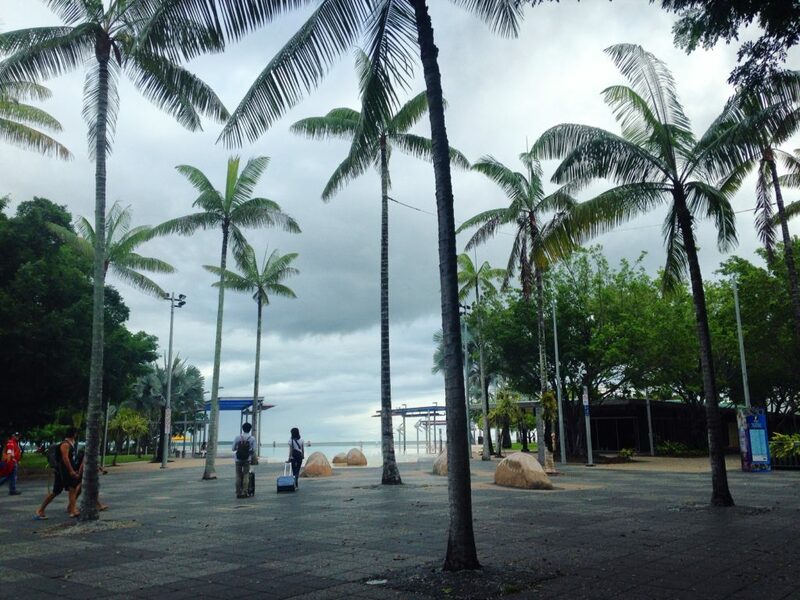 If you’ve been to Cairns, what are your favourite things to see and do around the city and surrounding areas? Let me know in a comment! Ah, Cairns looks like a small paradise.. I need to visit that place one day..